Google Ads, formerly known as AdWords, is an online advertising platform where businesses pay to display advertisements to be featured within the Google Search Engine or the Google Ad Network. Paid search advertisements, also known as pay-per-click (PPC) ads, are shown when someone searches or “Googles” the keywords an advertiser is bidding on. Banner advertisements, also known as display ads, are shown on a website, generally with an image, to two groups: users who have expressed interest in an advertiser’s website (via remarketing aka retargeting) or users with online habits considered relevant to the advertisers’ offerings (aka behavioral targeting). Why do Google Ads matter? Google ads are incredibly powerful for reaching your target audience. Google’s search engine is the most heavily used search engine in the world, followed by YouTube, which is also owned by Google and part of Google Ads. What’s more, the Google Network consists of 2 million websites, covering about 90% of internet users. That statistic is all the more reason it’s critical that advertisers meet their audience where they spend time online. Google Ads empower you to focus your efforts on the correct demographic without wasting time reeling in the people that will never convert. Just as the brand and reputation of your organization are critical, so is ensuring you are present at the exact moment someone is searching for you or your offerings online - but that can take a while to do organically, via SEO (search engine optimization). Hence, PPC search ads are vital for websites who need to market to their audience, on-demand, in tandem with free traffic from SEO efforts. Equally important is proactively getting the word out to the community and influencers. Gone are the days when you need a flyer, an ad in the paper, or a billboard to do it. Instead, you can get your content in front of your target audience, via Display. With Google Remarketing, organizations can also stay top-of-mind to individuals even after they've left their site, while they are spending time on other websites that participate in the Google Ad Exchange. But do Google Ads actually Work? The big question organizations face is if Google Ads are actually worth it, and whether or not they provide a high return on investment. If the targeting capabilities on Google aren’t enough for organizations to jump at the opportunity, Google Ads also come with a platform that Google boasts is “user friendly”, allowing advertisers to select their targeting criteria, create ads, set their budgets, and watch the conversions come through at the click of a few buttons… except, in many cases, those conversions never happen or worse, are never tracked at all. Like many Google Products, the platforms and product tutorials are very e-commerce driven. So, for nonprofit organizations and independent schools that are looking to enroll students and members or recruit volunteers, all while working with a shoe-string budget, it can definitely be challenging to navigate the platform in a way that makes sense --and is worthwhile -- for enrollment. When asked if Google Ads work - Enroll Media Group’s answer is YES, but only when managed properly, and against realistic goals. For independent K-12 schools, it is very clear in our work with Google, that this strategy is, in fact, worth it. 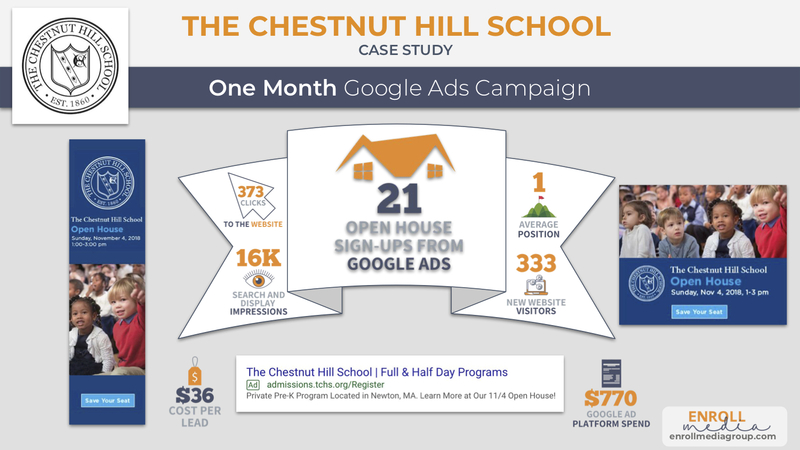 From generating leads and open house sign-ups, to improving brand and content engagement, Google Ads is also very powerful. How do we know? 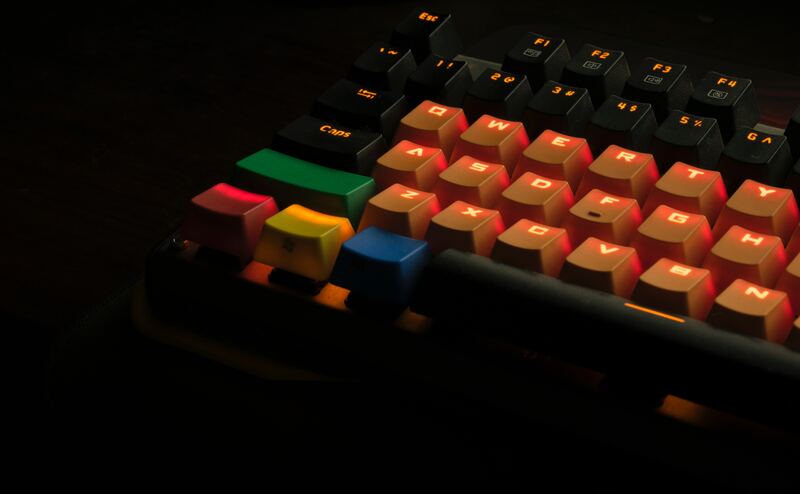 Because you can track it all! Depending on your CRM and website, you can even track attribution long after the campaign is over, down to specific enrolled students. Again, it all comes down to smart goals. Due to the nature of some goals (i.e., attempting to drive last-minute applications or reaching a brand new tertiary market), Google Ads is not always the best choice of platform to spend that precious marketing money, so setting realistic goals is paramount. For nonprofits, the data is much of the same. With strategic goals, like engaging a local audience to promote an event or volunteer opportunities, or encouraging current donors to contribute to a Capital Campaign, Google Ads can be very effective, and in some cases for qualifying nonprofits, the service might even be free via Google ad grants. 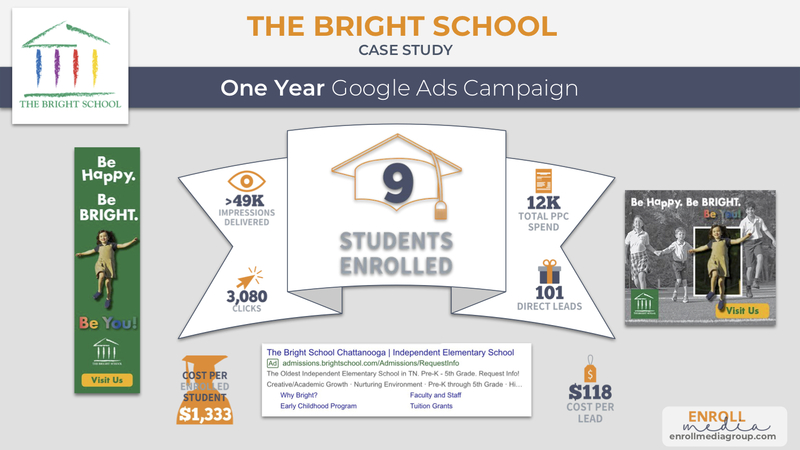 Check out these recent case studies that highlight Google Ad success against two particular school’s strategic enrollment goals. How do I improve my organization's Google Ads? Know your audience: Even the best Google Ads Pros won't be able to run an effective campaign if they don’t truly understand your institution’s target audience. This includes knowing basic demographic criteria like gender, age ranges, affluence, geographical location and more (easily found in current enrollment and Google Analytics data). Knowing your audience also includes tapping into what they are doing online - from a behavioral perspective. Take a look at Google trends, Google’s Search Console and Google’s Keyword Planner to see the queries that lead to your site or your competitors’ sites, and understand their online interests and affinities. Knowing your target audience and online personas will not only help you more reach them more effectively, but it will help provide on-point messaging and a landing page experience that will engage them more effectively. Establish SMART goals: With any campaign, set SMART goals (Specific, Measurable, Attainable, Relevant and Time-Bound). Broad targeting and unrealistic goals are a recipe for an expensive and ultimately unsuccessful Google Ad Campaign. Set a specific goal like a certain number of leads or donations, then ensure you can measure that goal via conversion tracking or query parameters through your CRM. You’ll be able to know if those goals were achieved, and from which ad campaigns. You’ll also need to make sure the goals you set are attainable -- this is not a time to set the bar too high. Be realistic. Work with the Board of Directors to ensure any digital marketing you embark on is relevant to the overall goals for your institution. Maybe enrolling new preschoolers really isn’t in line with bigger initiatives if that program is being consolidated next year. Focus on the goals that matter and for programs that are worthwhile. Finally, do have a deadline tied to your goal, and set those end dates in the platform. Resource: For help creating strategic marketing goals for your Google Ads campaign, download this template that EMG created with HubSpot. Have a destination landing page: Since you only pay when someone actually clicks on the Google Ads (the impressions are free!) you want to maximize the power of the click by ensuring you send them to a custom landing page, or a place on your website that speaks to your advertisements (and that is plural - you should have more than one set of ads running at a time for a particular goal based on the keyword.) Likewise, you may need multiple landing pages for a singular campaign, too. Don’t forget the big picture: your online interactions are equivalent to having a conversation with your demographic - stay on point and even consider dynamic content based on the user's behavior to nurture them accordingly, which some websites and landing pages can support. Ensure the landing pages have a clear call-to-action that is reflective of your goals while being user-friendly, responsive and trackable. More on landing page best practices here. Self-educate: Managing Google Ads for an organization, big or small, requires mastering the platform. Google Ads Academy and getting certified is a great start. When in the planning stages, tap into experts in the space and consider partnering with a group that specializes in the platform and your vertical. Then, when set-up time rolls around, hold your partner or team accountable. From keyword techniques, and bidding strategies to quality scores and KPIs, staying up to date can be hard. It’s a great idea to subscribe to resources like this one on Google Ad Account Structure from WordStream, so you can rest assured that your organization isn’t falling behind the Google curve or spending money ineffectively. Don’t set it and forget it: Google Ads are a revolving door. There are constant platform changes coupled with consumer behaviors that fluctuate depending on the timeline, how familiar they are with the organization, and other marketing efforts in play. Monitor, analyze, optimize and repeat. Google makes it incredibly easy to suggest keywords and target audiences that will chew up your money quicker than a slot machine because the goal is to spend your allotted budget. Google Ads also don’t take into account what else is happening within your organization and prospective audience at that particular time. Defer to the online data and external factors at play, to recalibrate your campaigns and be in control of the clicks and conversions that will ultimately come your way, as a result or a well-monitored campaign. If you need help optimizing your google ads campaign, talk to EMG today - we live, eat and breathe digital advertising, analytics, CRO, and all-things-enrollment marketing. We would happy to have a no-strings-call to discuss how your institution can improve its campaigns and increase ROI.